Dunagoil, in the south west corner of the Isle of Bute, is one of the most enjoyable coastal areas I've ever had the pleasure of photographing. 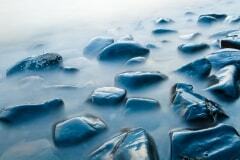 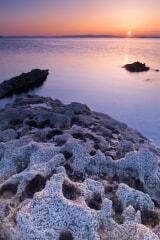 The shore is a maze of marvellous rock formations, looking like a lunar landscape in places. 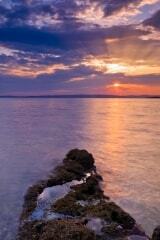 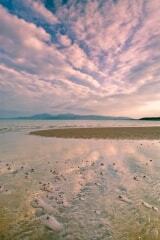 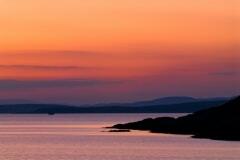 The shore is also perfectly oriented to take advantage of the wonderful sunsets you can get in the part of Scotland. 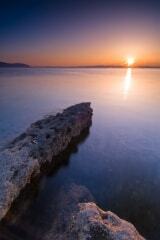 I must have taken several dozen shots of this particular sunset, and this is one of my favourites.